Managing Partner at Speaking Minds Knowledge Solutions Pvt Ltd.
Raga D’Silva is a Mumbai born and now London based entrepreneur and managing partner of the Indian based Speaking Minds and UK based Red Hot Mirchi (Raga founded the company Global Village unlimited and RHM which is now re-branded as Speaking Minds Knowledge Solutions). With over 25 years in senior positions in high profile international advertising and marketing companies, Raga’s experience in marketing, advertising and brand building is now in her DNA. Raga’s international experience includes India, New Zealand, Australia, UK Singapore, Middle East, Hong Kong, China and Malaysia. She brings much diversity, knowledge and experience to the table through her working experiences in these countries. Raga has shaped Speaking Minds into a leading international speakers agency, B2B experts and content curators for corporate companies. With focus in India, Raga’s vision is to share skilled knowledge through such initiatives and by making available cutting edge content as well as thought leaders, industry experts, game changers, motivational and inspirational speakers. Raga has worked closely with top management speakers such as Deepak Chopra, Edward de Bono, Stephen Covey and Tom Peters and continues to curate content that is extraordinary. Raga personally believes life is an amazing book – with chapters that represent facets of us. 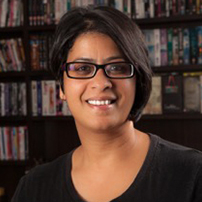 Her advertising experience has seen her working with industry giants like Lowe Lintas, Ambience Advertising, Thompson Connect (Direct Marketing arm of JWT), UTV in India and then over nine years in New Zealand heading a full services creative agency, including Marketing Head of Haines New Zealand. Raga, in her own words, continues to live somewhere up in the clouds – with travel being her daily inspiration. A much in demand speaker herself, Raga was elected the first female deputy chair of India-New Zealand Business Council, a position she held for three years.. She has also been elected on numerous boards and continues to share her expertise through this. Raga is currently the South Asian ambassador for Diabetes UK and has made numerous and regular appearances on BBC, Sky TV Channel 5 and various UK publications discussing the effects of lifestyle and diabetes on South Asian women. Her entrepreneurial journey is currently published in a book ’Leading Ladies’ in the UK. Raga continues to build on her vision of sharing access to knowledge from experts with those who are hungry to learn. Her philosophy is to leave a ‘return on experience’ with all those who will cross her path.